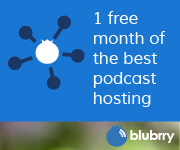 If you are going to start a podcast, you need a place (or places) on the web where your podcast website and your media will live. I recommend using a self-hosted wordpress site as the base for your podcast. WordPress is the most popular system for blogging. There is such a thing called WordPress.com which is a free blogging system hosted by wordpress itself. The company behind wordpress is called Automatic. Automatic does the hosting and you end up with an address like http://mypodcast.wordpress.com You don’t want this so forget about wordpress.com for podcast website hosting. The best way is to use WordPress.org. WordPress.org is the open source version of the same (well mostly the same) software that is used on wordpress.com. With your own installation on your own domain name, you have much more flexibility to have the design look the way you want it. There are many other advantages of this that I am sure we will talk about in future episodes. Godaddy hosting is somewhat easy to setup. They have this thing called “Hosting Central” and when you login to your hosting control panel there is a link to hosting central. With Godaddy, you also have to buy a domain name (which is extra). Once you have all that all you have to do is find wordpress in hosting central and click install. You answer the questions that come up and in a half hour or so, your wordpress site will be ready for you to configure for podcasting. The next thing is Themes. There are 1000’s of free themes out there for wordpress. They will make your site look just about any way you want it to look. There are paid themes also. These are much more configurable than the free ones in most cases. 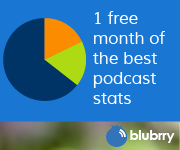 I use one called Thesis on podcastingtechcoach.com. It costs about $70 and it very customizable. You don’t HAVE to pay for a theme if you can find one you like in the free themes area. To check out the themes go to your dashboard in wordpress hit appearance and then Themes and “Install Themes”. You will get a search box and a whole lot of options to find the theme you are looking for. You can install one from there. Another word of caution, some themes will cause issues with your podcast feeds and on site players. It’s not common, but can happen.